Our city has yet to find an effective way to encourage many Santa Feans to recycle, but they are trying. 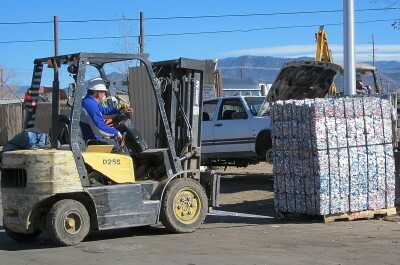 Recently, the city Environmental Services Department has been promoting their business recycling program, working to sign up new accounts each week. I hope Santa Fe finds a way to increase the recycling rate, as the landfill is a poor place to put reusable materials like paper, glass, metal and plastic. In the meantime, the local scrap metal recycler has a line of customers running to their front door. Pull up with your metal/plastic/appliances/etc., have them weighed, walk in the office, sign a form (to reduce theft of high-value metals like catalytic converters) and walk away with cash. This system wouldn't work for municipal recycling, but it is quick and simple. But, simplifying our local curbside recycling would make it less of a hassle and maybe a little more fun.